APCRDA Notification 2018.APCRDA, Amaravati Smart and Sustainable City Corporation Limited has released a notification for the recruitment of Chief Executive Officer and Deputy Chief Executive Officer vacancies.Check the eligiblity and notification prior to apply for the positions. Qualification: Graduation in Engineering/ Post-Graduation in Engineering/ Business Administration, with at least 75% marks, 2 years relevant experience. Qualification: Graduation in Engineering/ Post-Graduation in Engineering/ Business Administration with at least 75% marks, 2 years relevant experience. Age as on 01.11.2016: 65 years. 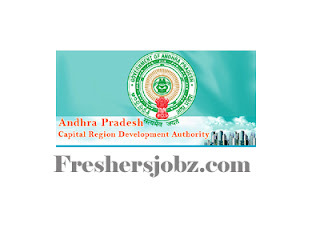 How to apply: The applications should reach the Managing Director, Amaravati Smart and Sustainable City Corporation Limited, O/o APCRDA, Lenin Center, Governorpet, Vijayawada. Last date to apply: 02.11.2018.